The so-called “iPhone 6s” has been rumored heavily over the past few weeks, with a number of reports dishing the details on the device. Today, it is being suggested that the handset will include its own variant of Force Touch, a feature that Apple debuted with the 12-inch MacBook earlier on this year. The same report also goes on to note of improvements Apple may be planning with iOS 9, and after the break, we have a complete round-up of these new revelations. 9to5Mac’s Mark Gurman has discovered through a source that the iPhone 6s, as it’s colloquially known, will look identical to the current iPhone 6, and most of the changes will occur under the hood. Among them, Apple plans to implement a Force Touch display complete with haptic feedback. iOS 9 should be Force Touch-ready from the get-go, while developers will also be able to take advantage of the feature with their third-party applications. Force Touch on the iPhone will be used to clear up some control space across the system, and potentially replace some long press-and-hold button interactions. One of 9to5Mac’s sources also suggests that Force Touch may be aimed towards power users, rather than being a feature that the everyday user user will take advantage of. Aside from the iPhone 6s, Apple is also said to be working on tailoring iOS for iPad towards Force Touch displays, indicating that the company’s tablet could also be a part of these plans. Away from Force Touch, Apple is also said to be looking to make improvements with the keyboard. Accessibility improvements to the QuickType keyboard could be forthcoming as Apple surveys the possibility of redesigning the typing interface, although any changes are unlikely to be as heavy-handed as those we saw with iOS 8 last year. Apple Pay will, per the report, be the first nation outside of the United States to receive Apple Pay support, with many of the necessary features said to be baked into iOS 9. Negotiations with banks are still ongoing, however, so at this moment in time, it isn’t certain when Apple Pay will hit the Canadian market. Finally, the report also mentions one or two enhancements to iMessage. Apple is said to be working to improve performance from the back-end, while a number of small-but-noticeable features could also arrive with iOS 9. These include, but are not necessarily limited to read receipts for group chats, as well as “on a contact-by-contact basis,” meaning you could pick and choose who sees what you’ve read. The Worldwide Developers Conference starts next month, so many of these details will be confirmed when things kick off. WWDC will run from June 8th through the 12th, and by the sound of things, will deliver plenty of exciting announcements. 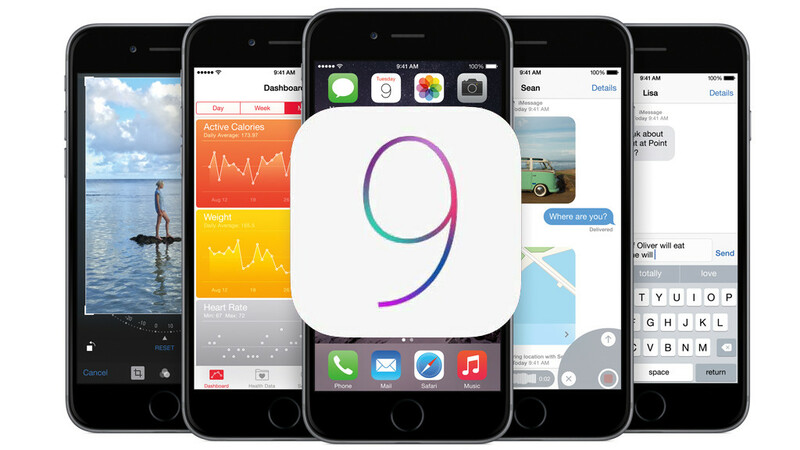 What features do you really want to see from iOS 9? Let us know in the comments!